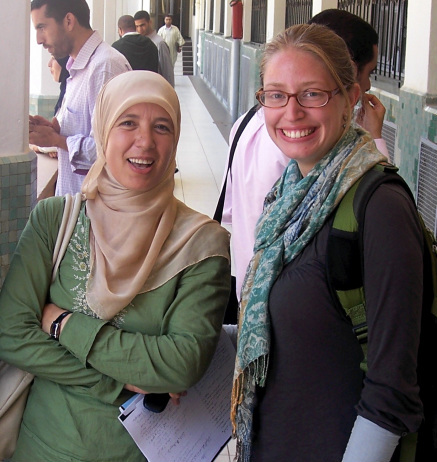 Rachel Friedman (on right): I participated in SORAC in the 2010 and 2012 programs in Rabat at Muhammad V University. It was invaluable to study together with Christians and Muslims through a shared scholarly experience of reading and discussing a variety of religious texts. Both times, the experience gave me important insight into the way scholars very different from me approached such texts. Learning about Islamic texts from our Muslim peers gave me a new and deeper appreciation for how to study such texts with respect and understanding of their importance to believers. Reading the Christian and Jewish texts in this environment also broadened my approach to more familiar texts and led me to see how different types of questions can be asked of them. Fatima al-Kimakh (on left): In the name of God the Merciful and Compassionate. Praise to God, Lord of the worlds, and prayer and peace upon the beloved, the chosen, and upon his family and companions and those who follow them with kindness until the Day of Judgment. 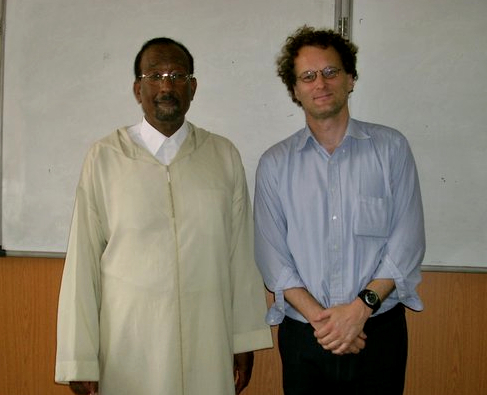 I cannot hide that I lived a distinct experience at my university, Muhammad V University: a direct engagement with our American colleagues who honored us with a visit, passing a month and a half with us. Friendships grew among us despite the difference in doctrines. 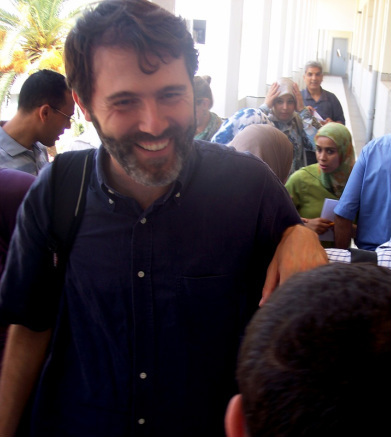 A single university hall embraced Jew, Christian, and Muslim. This, in my view, if it indicates anything, indicates that each of us possesses a culture built on the necessity of embracing the other and mutual acquaintance according to what is best. I was fortunate to give the first lesson on prophetic hadith from Imam al-Nawawi’s Collection of Forty. The lesson dealt with the topic of “Works According to Intentions.” Professor Paul Heck and the American students, I believe, warmly welcomed this lesson, as well as our Muslim companions. I also note our exposure to an important part of Jewish and Christian thinking and the accompanying questions and discussion. The bonds of brotherhood were strengthened during two day-long seminars in which all students participated, both Moroccan and American. Finally, I can only say it was a unique and amazing experience. Lorenzo Maggioni: I participated in the 2012 program in Rabat. The name, Rabat, come from a root in Arabic that means “to connect” or “to tie.” This sums up the essence of my experience. I felt that I became connected in a very profound way to people I did not know before but with whom I shared a common and truly enriching experience that was also challenging—the task of learning about and from other religious experiences. I rediscovered how interwoven are the theological languages of the three Abrahamic religions (Judaism, Christianity, and Islam) and how striking are the similarities, but also the importance of identifying the differences and learning from them rather than simply overlooking them. I learnt that it is possible to discuss our faiths, even with conviction, but without losing a sense of deep respect for the religious path of the other and its unique mystery. Finally, I learnt from my Moroccan friends the art of making someone feel at home and even special! Sa‘id al-Mu’aqqit (on the right in the first row): Praise be to God alone and prayer and peace upon all his prophets and messengers and the best prayer and purest peace upon the seal of them, Muhammad, and upon his family and companions and those who follow them with kindness until the Day of Judgment. To the point: The successful project is the project that is invested in knowledge because knowledge is the path of truth and the dispeller of ignorance and illusions. True religion is built upon knowledge. Therefore, investing ourselves in the Study of Religions Across Civilizations (SORAC) was a big step towards reaching the truth and a sense of happiness. 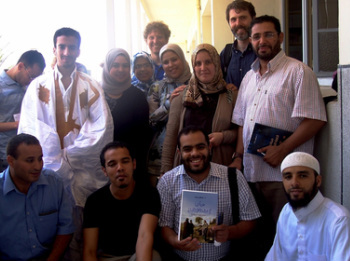 We experienced the importance of this step through the mutually enriching knowledge-based interaction which took place between us, Muslim students from Morocco, and our friends, seekers of knowledge from different Jewish and Christian denominations, at Muhammad V University in Rabat during the months of June and July 2012 under the distinguished supervision of Sheikh Dr. Muhammad Amin al-Isma‘ili and Dr. Paul Heck.